For several years, BookMyShow had been a bit of an anomaly in the Indian startup space. While startups in virtually every sector had to compete with any number of rivals, BookMyShow had enjoyed a virtual monopoly over the movie ticketing business. This had allowed the company leeway that few other online startups had — while most online players worked on the premise of offering goods cheaper than in the offline world, BookMyShow had the luxury to add a convenience fee to its purchases. Tickets booked on BookMyShow were more expensive than tickets booked right at the theatre, and thanks to the added-on fees, BookMyShow was one of the few startups that actually made money. It had also managed to break even in 2016. But things for BookMyShow have changed dramatically over the last two years, thanks mainly to one company — Paytm. Paytm has swaggered into the movie ticketing business, and BookMyShow is hurting. While BookMyShow had made a modest loss of Rs. 1 crore in FY16, it’s made a loss of Rs. 139 crore this year. This was on the back of higher expenses of Rs. 473 crore in FY17, compared to Rs. 248 crore in the last financial year. Advertising expenses, in particular, rose to Rs. 146.5 crore compared to just Rs. 30 crore last year. BookMyShow was forced to invest more aggressively in its businesses thanks chiefly to the moves of Paytm. Paytm had entered the movie ticket space in 2016, and had looked to beat BookMyShow at its own game. 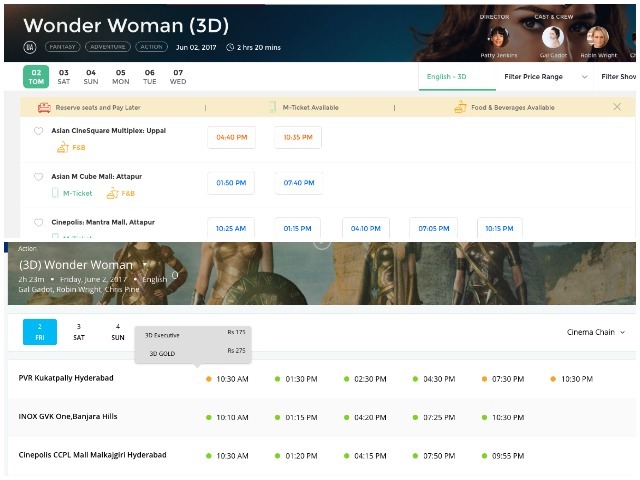 Not only was its movie booking user interface heavily inspired by BookMyShow, it was also willing to burn large amounts of cash to woo customers away from its competitor. For most of 2016 and 2017, Paytm had long-running offers in which it was giving away movie tickets at a 50% discount. The freebies appear to have paid off. Paytm is now neck-and-neck with BookMyShow, at least in terms of availability — while BookMyShow is present in 4,500 screens in over 650 cities, Paytm isn’t far behind with 4,000 screens across 660 cities. And after making inroads into the movie booking market, Paytm appears to have pulled its foot off the discounting pedal. Its 50% off deals on movie tickets aren’t as easy to find anymore, but through two years of relentless promotions, Paytm has managed to find a foothold in the market in which BookMyShow was once the sole player. BookMyShow claims to sell 10 million tickets a month; Paytm says it sold 52 million tickets in 2017. That could roughly mean that Paytm has captured around 30% of the movie booking market. BookMyShow, for its part, is having to burn some money of its own to remain on top. 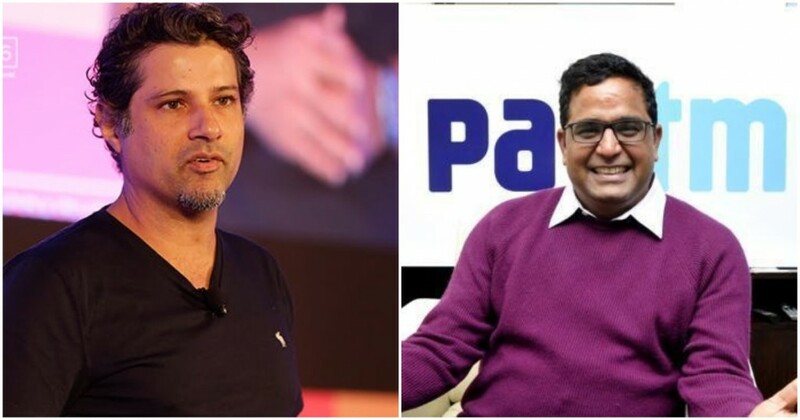 BookMyShow CEO Ashish Hemrajani had initially been dismissive of Paytm’s discounts.“I love it when competition spends, that means that they are not being intelligent about what they are doing,”he’d said in June last year. “We are sitting at a time when we have seen enough people spend money and what their condition is,” he’d added. It remains to be seen if Paytm was intelligent or not about its spending, this much is clear — it’s forced BookMyShow to do some serious spending of its own.